If you're a blogger then surely you're concerned about the traffic of your website. After writing SEO optimized articles the thing which comes to mind is "how to drive traffic to your newly written articles?". It's not a child play to drive traffic towards your blog. If you have just started your blogging carrier then you have to depend on referral traffic such as social media traffic, social bookmarking traffic, article submission websites also blogging communities. At initial it becomes a little difficult task to drive search engine traffic towards your blog. So to give a kick start to your blog it it must to join some referral traffic sources. 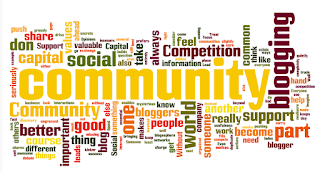 If you will ask to me about best referral traffic then I would recommend blogging communities. This is so because almost 90% blogging community members are real bloggers. If you're able to share quality content then those users are also interested in reading your guides. Below is a massive list of 35 high PR, Alexa ranking blogging communities. Each website is hand-picked and tested manually. Go through them and drive some decent traffic towards your blog. So these are some of the best high PR blogging communities to drive massive traffic towards your blog. Sign up for some of them in order to get some kick start in the traffic. Also you'll get back links from them too.